Tehran is the largest city in the Middle East and the 16th most populated city in the world with its 8.5 million inhabitants. 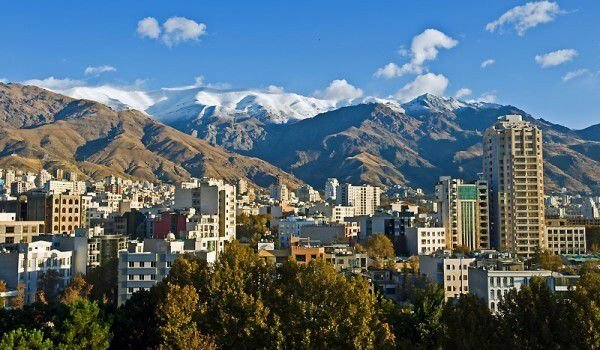 Tehran is the capital of Iran , the largest, most important location, cultural, economic and tourist center of the country. Tehran is located in the north central part of Iran, as it is the administrative center of the province of Tehran. The city is divided into 22 regions, each with its own administrative center. All of Tehran covers an area of 707 square kilometers, the city is distinguished by its elongated urban structure. As the capital of Iran, Tehran is a city that is modernized with the most modern architecture. Of course, in Tehran, there is a significant number of architectural and historical monuments that you should see. Recently constructed was Milad Tower, which is considered to be the new symbol of Tehran. Until recently, this function was performed by the structure, named Azadi. Azadi, which translates from Persian as "freedom" is one of the largest architectural sights in Tehran. Azadi is an interesting metal structure, which is actually a tower. It was built in 1971 on the occasion of the 2500the anniversary of the creation of the kingdom of Persia. Azadi is called not only the tower, but the entire square on which this interesting structure stands. Nearby is the national stadium of football in Tehran, which bears the same name. Azadi is also called the "door of Tehran ", probably because this is the first landmark that stands in front of visitors to Tehran when they arrive from the airport in Mehrabad city. 8000 blocks of Isafhan white marble are used in the composition of the Azadi tower. Her architect is Hussein Haman, who won the contest in 1969, the official opening of the monument took place on October 16, 1971, with a light show, during which the entire tower in Tehran shone in the colors of national flag Iran . Historical sites and old buildings can be seen mostly in the southern part of town. The northern part of Tehran is assigned mainly for modern buildings. A very interesting place in Tehran is the Golestán Palace / Rose Garden, which is a royal building and is considered the oldest building in Tehran. The current form of this incredibly beautiful and interesting palace is the result of 400 years of continued repairs. On October 11, 2005 g. this place was included in the list of world heritage sites by UNESCO. Another interesting palace - Kadžárovci Palace can be seen in Tehran. It was built in the late 19th century, and today operates as a museum. Inside you can see the royal jewels and other gifts to heads of state from around the world. The palace is near the two mosques - Masjid-d-Imam and Mosjid-d-Jomeh. In Tehran there are historical, archaeological and modern art museums, where you can see the works of Van Gogh, Pablo Picasso and Andy Warhol. Local cuisine offers you to try the local specialty, which is chelow kabab, prepared in a very appetizing way. All over Tehran are excellent restaurants, which offer first class service and meals are served from around the world. Increasingly popular is fast food in Tehran and constantly new shops for pizza, sandwiches, etc. appear. If you choose to visit Tehran or some other Iranian city, you should know some mandatory things. In your passport, you must not have Israeli stamps. Alcohol is prohibited in the country and can not be imported. Foreign journals can not be imported.